Interest bearing account that holds up to 17 foreign currencies and precious metals such as Paper Gold and Paper Silver in ONE account. Allows you to manage a diversified currency portfolio in Malaysia, with the ability for conversion of foreign currency to another foreign currency. 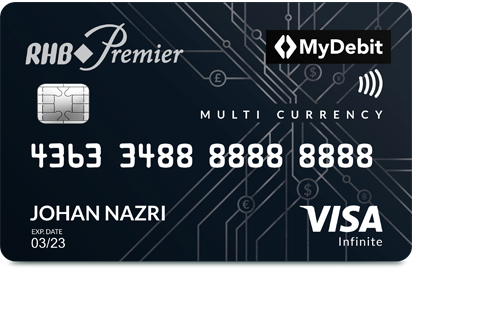 You can also convert foreign currency into Ringgit account or vice versa. Undertaking of foreign currency funds from abroad and hedge against foreign currency fluctuations and to enjoy potential foreign exchange gain depending on market conditions. Avoid double conversions for receivables and remittances to and from other countries. 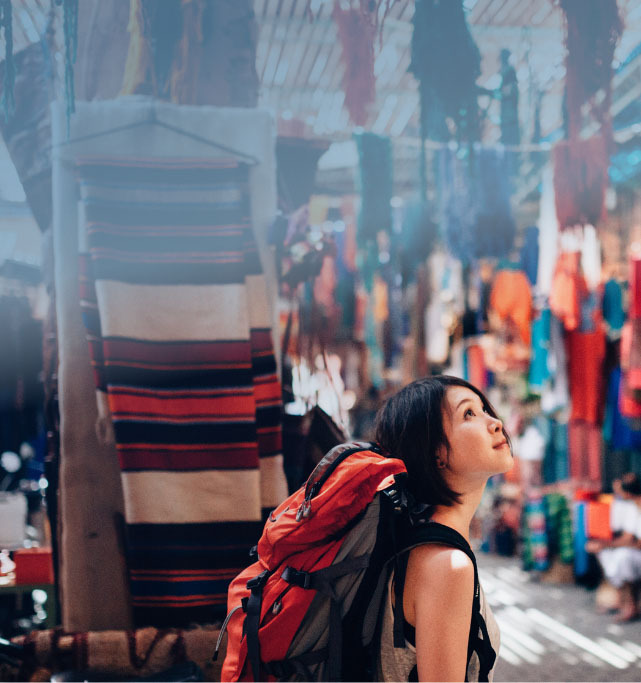 For non-residents employed in Malaysia to retain foreign currency salary received from overseas or in Malaysia, inclusive of Ringgit conversion. For a resident without Domestic Borrowing, no limit applies for a conversion from Ringgit to Foreign Currency. 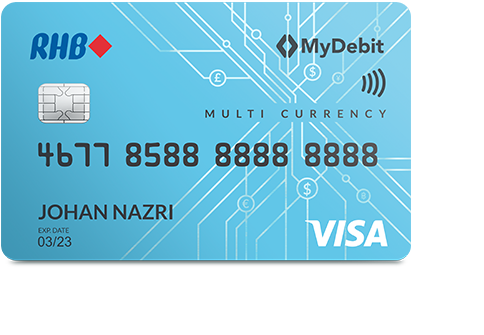 that allows you to transact with Ringgit Malaysia and up to 13 foreign currencies. The exchange rates are locked in to protect your money from foreign currency fluctuations. Transact with your preferred currencies on overseas retail spend with no extra charges. Enjoy attractive interest rate on your account balance of selected currencies. Your deposit is protected by PIDM. Enjoy access to fast, simple and seamless online banking experience no matter where you are. Except for paper gold and paper silver, RHB’s Multi Currency Account is eligible for protection by PIDM. Click here for PIDM's brochure.